To date, Stewart and “The Daily Show” have received 22 Emmy Award nominations and won 10. These include winning for Outstanding Writing for a Variety, Music or Comedy Program five times: 2001, 2003, 2004, 2005 and in 2006, as well as Outstanding Variety, Music or Comedy Series in 2003, 2004, 2005, 2006 and 2007. Jon, himself, was nominated for Outstanding Individual Performance in a Variety or Music Program in 2002, 2003, 2005, 2006, 2007 and again in 2008 as host of the 80th Annual Academy Awards, which he also hosted in 2006. 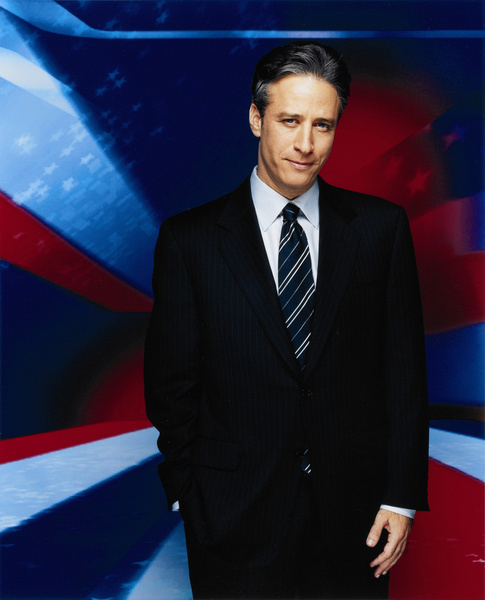 In 2001, “The Daily Show with Jon Stewart” received the prestigious Peabody Award for excellence in its “Indecision 2000” campaign coverage and again in 2005 for “Indecision 2004.” The show has also been honored by the Television Critics Association for Outstanding Achievement in News and Information in both 2003 and 2005; winning over traditional news shows in the category. Stewart has graced the cover of numerous magazines including Newsweek, Rolling Stone, New York Magazine, Entertainment Weekly, GQ, etc. He was also named “Entertainer of the Year” for 2004 by Entertainment Weekly and was honored as New York Entertainer of the Year” by Variety. Stewart was also named to the inaugural Time 100 list of the world’s most influential people (Time magazine). In 2001 and again in 2002, Stewart served as host of the Grammy Awards. Stewart is also a best-selling author – In 2004, Warner Books published AMERICA (THE BOOK): A Citizen’s Guide to Democracy Inaction and it immediately topped The New York Times Best Seller List, staying at #1 for 18 consecutive weeks, ending the year as a top 15 best-seller. It was also ranked #1 on the best-seller lists in The Wall Street Journal, The Los Angeles Times, USA Today and San Francisco Chronicle. Additionally, America was given the prestigious book of the year award in 2004 by Publishers Weekly. In addition to this, at the 2005 Grammy awards, both Jon and the Cast of “The Daily Show” were honored with Best Comedy Album, for AMERICA: A Citizen's Guide to Democracy Inaction. Stewart, his wife and two children reside in the New York Metropolitan area.